After tasting 3 Daughters Brewing beer for the first time at BurgerFi last month, we decided to check out the brewery in St. Petersburg to learn more. Appropriately named, 3 Daughters Brewing was started by husband and wife duo Mike and Leigh Harting, who have three young daughters. After working many years in the restaurant business, they decided to alter their route a bit and open a brewery. I love that the motivation behind starting the company was for the Hartings to be able to afford their daughter’s college costs, so when I drink their beer it makes me feel like I’m helping a good cause. 3 Daughters is beautifully designed, with sort of an industrial vibe. There were plenty of tables to sit at, and an option to sit in the back,with a view of the beer making process. We spotted plenty of fun bar games including giant Jenga and Connect Four, and made a mental note to come back on a Friday or Saturday night when there would be live music and food trucks. They also have a really cool mural in their warehouse painted by local artists the Vitale Brothers. This place offers something for everyone, including wine for the non-beer drinkers. But honestly if you’re not a beer-drinker, 3 Daughters brews might change your mind. They had a large variety of brews and the knowledgeable staff are more than happy to help you pick a style to please your palette. If you visit the tasting room, you can get a pint or a flight, which includes four sample-sized beers of your choice. They have 14 rotating craft brews on tap, but you will always find the beers they distribute to stores and restaurants in Florida on tap. Those four are: St. Pete Beach Blonde Ale, Summer Storm Oatmeal Stout, Bimini Twist IPA and Rod Bender Red Ale. 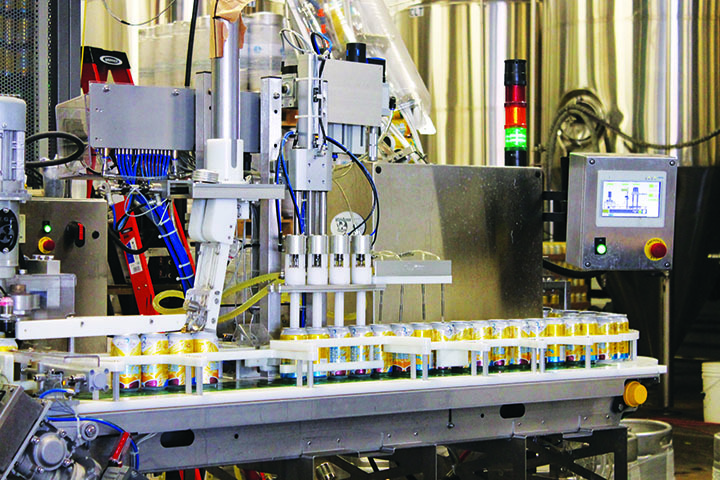 Those brews come in six packs of cans, and you can find them in different stores like Whole Foods or Trader Joes. The St. Pete Beach Blonde Ale is my current favorite of those four. It’s light and refreshing, perfect for summertime poolside. If you want to learn a little more about the brewing process, they offer a great tour deal; $10 for a 30 minute tour, pint of beer and a 3 Daughters glass to take home. I’ll take that deal. You can’t even get a T-shirt for $10 anymore these days. Something interesti ng that we learned was that 3 Daughters has recently paired up with University of South Florida St. Petersburg on a unique course; craft beer brewing. Interested students can register to take 10 online courses with the college, and intern at a few local breweries, 3 Daughters included, to get the hands on experience. After the semester, students will receive their certificates, and get their foot in the door of the craft brewing world. This makes me happy. This is perfect for the rapid expansion of the craft beer industry in our area. Maybe I should look into going back to school. 3 Daughters Brewing is located at 222 2nd St. S in St. Petersburg. They are open Monday and Tuesday 2-9 p.m., Wednesday and Thursday 2-10 p.m., Friday 2 p.m.- 12 Midnight, Saturday 12 Noon-12 Midnight, and Sunday 1-9 p.m.
For more information, visit 3dbrewing.com.